Just because A&P is complicated, doesn't mean learning it has to be. 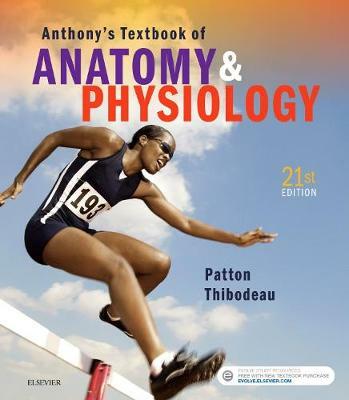 Anthony's Textbook of Anatomy & Physiology, 21st Edition uses reader-friendly writing, visually engaging content, and a wide range of teaching and learning support to ensure classroom success. Focusing on the unifying themes of structure and function and homeostasis, author Kevin Patton uses a very conversational and easy-to-follow narrative to guide you through difficult A&P material. The new edition of this two-semester text has been updated to ensure you have a better understanding of how the entire body works together. In addition, you can connect with the textbook through a number of free electronic resources, including?, an electronic coloring book, 3D animations, and more!